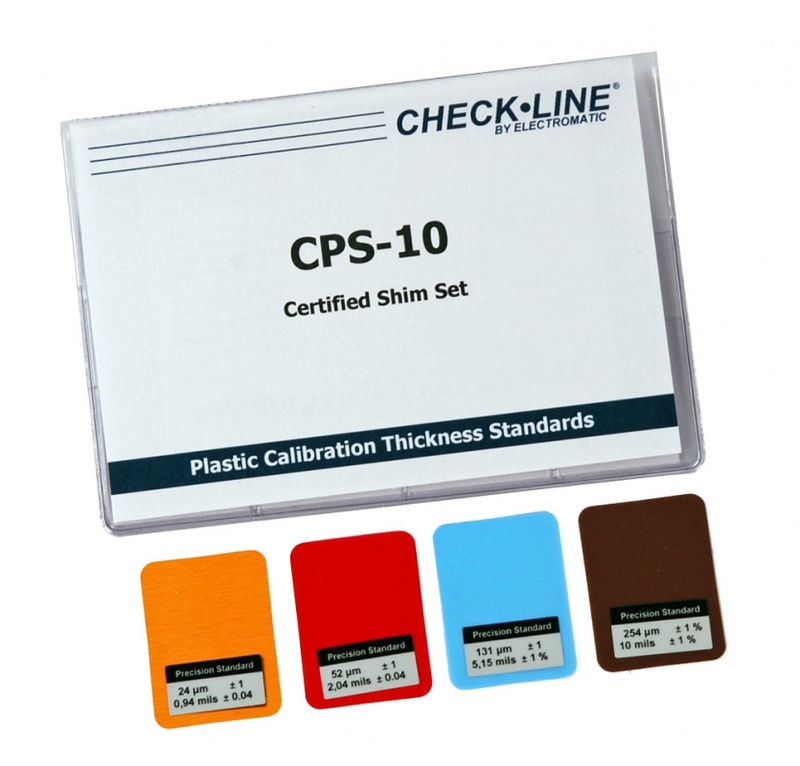 CPS Certified Plastic Shims CPS-4/CPS-10/CPS-20/CPS-60CPS-4 / CPS-10 / CPS-20 / CPS-60 Verify the accuracy and calibration of all Coating Thickness Gauges with Certified Plastic Shims. 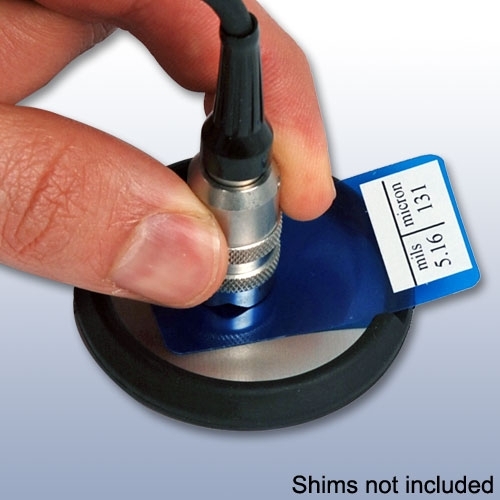 Shim Thickness Tolerance ± 1µm / 0.04 mils. 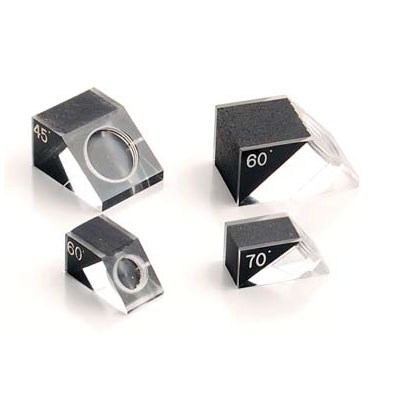 Shim size 30mm x 40mm. 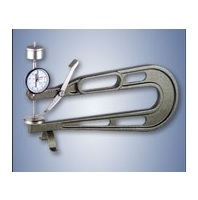 Metal Test Plate / Bare Steel Test / Aluminum Test / Zero PlateBare Steel (Ferrous) or Aluminum (Non-Ferrous) Test Plate for calibration of coating thickness gauges. 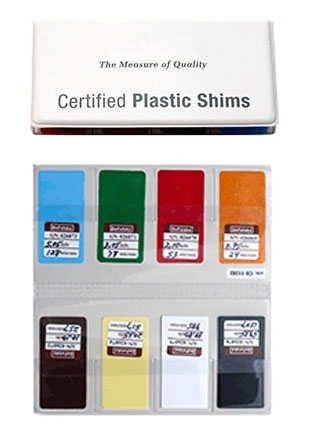 PTBNIST Certified Plastic Test Blocks for Thickness Gauge Calibration. 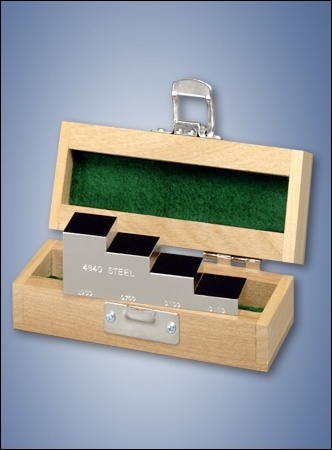 SB Step BlockSteel Test Blocks without certification.SB4 is a 4-Step Test Block fabricated from 1018 Steel.Supplied in a plastic case. 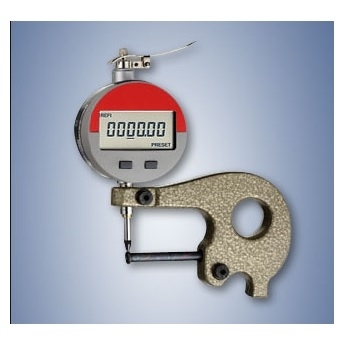 TS-5CGShim Set for Coating Thickness Gauges.Verify the accuracy and calibration of all Coating Thickness Gauges with shims. 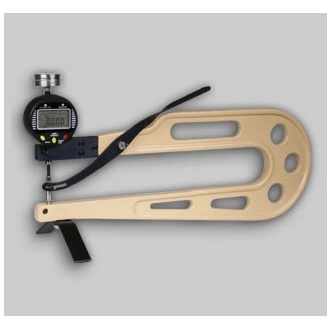 6000 Series Coating Thickness Gauge ProbesSpare/Replacement probes for 6000 Series Coating Thickness Gauges. 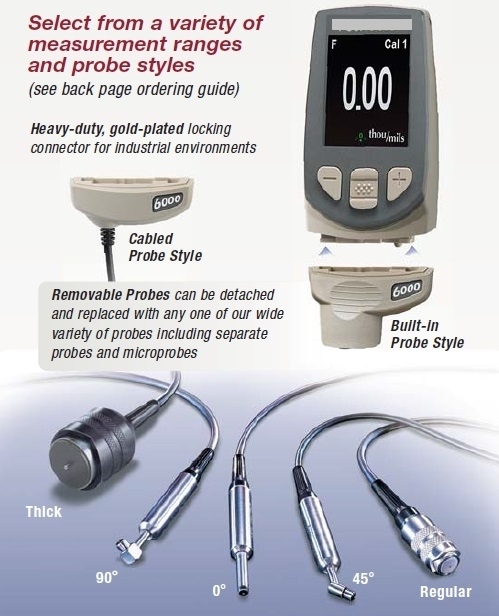 All probes are supplied with a Traceable calibration certificate. 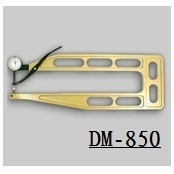 6000AN Series Anodizing Thickness GaugeMeasures Non-Magnetic Coatings (Anodizing, Paint) up 25 mils (0-625 µm) applied to Non-Ferrous metals. 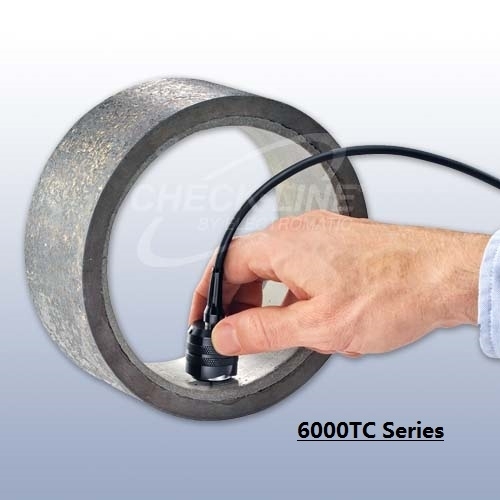 6000FLS Series Coating Thickness Gauge for Thick CoatingsThe 6000-FLS is for measuring thick coatings on ferrous metal substrates. Ideal for thick polyurea, intumescent fireproofing, insulating pipe coatings, rubber , roofing and more. 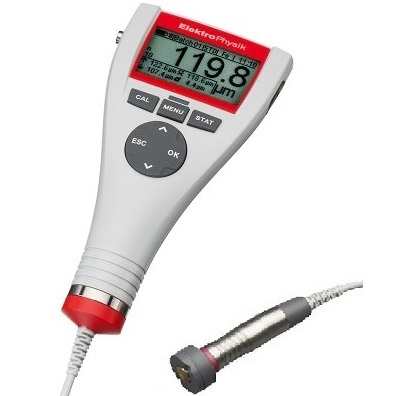 6000-FXS1 Coating Thickness GaugeFXS1-E Coating Thickness Gauge with Standard Display, Measures Coatings on Ferrous and NON-Ferrous Metals up to 60 mils / 1500 Microns. 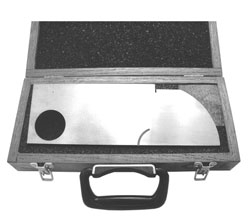 6000GS Series Coating Thickness Gauge for Thick CoatingsThe 6000-FNGS is for measuring very thick coatings on all metals. 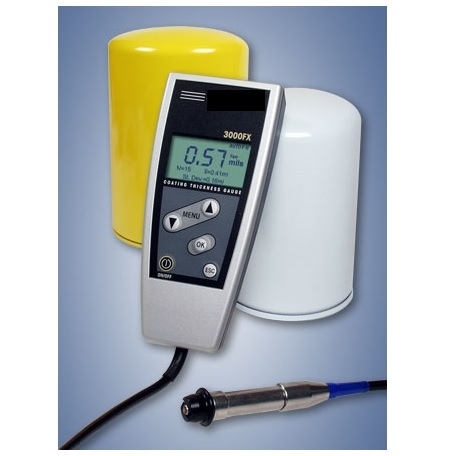 Ideal for measuring ship hull coatings and thick intumescent paints. 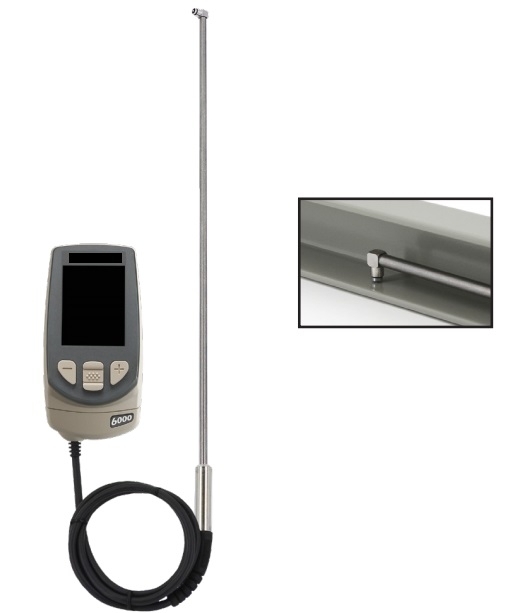 6000IP Series Coating Thickness GaugeThe 6000-IP's Integral Probe design offers maximum convenience and simplicity allowing for one-hand use, eliminating the external probe and cable which can be cumbersome in certain applications. 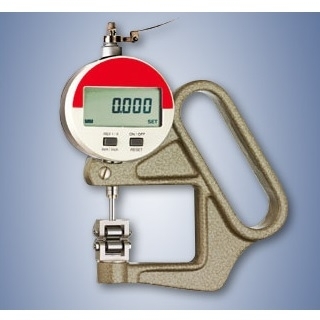 6000TC Series Coating Thickness GaugeCoating Thickness Gauge for Coatings up to 250 mils / 6mm. 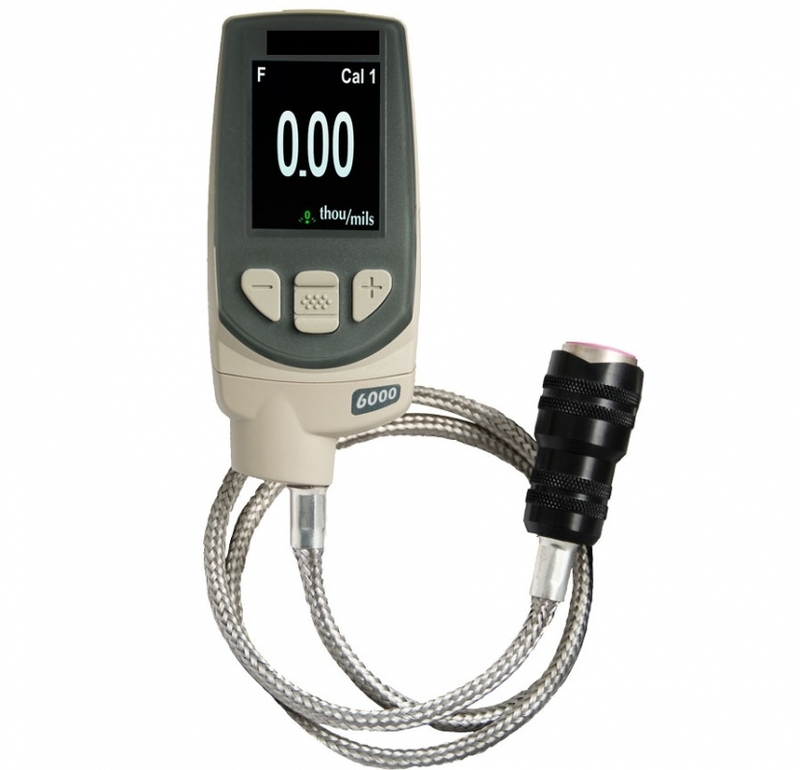 PRBFOOTKIT-D Probe Foot RingsProtect coatings from unnecessary wear while using Scan or Fast mode to measure large objects. 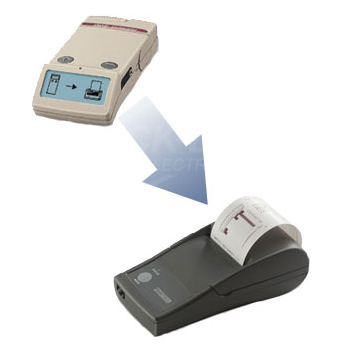 PRINTERBT Bluetooth PrinterReceives data via Bluetooth wireless technology. Prints readings and statistical summary. 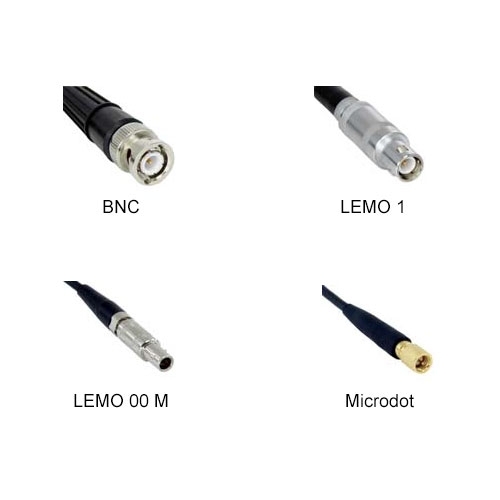 SmartLinkWirelessly connect probes to smart devices. 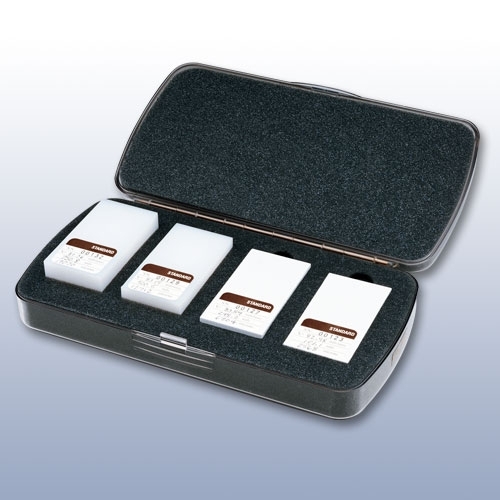 Replica Tape Readers 3D(RTR-3D)Replica Tape Reader to Measure and Record 2D/3D Surface Profile Parameters. 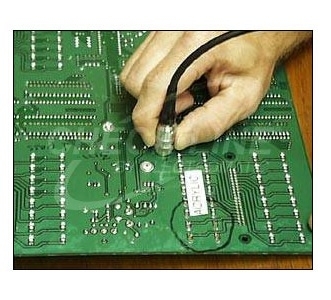 Conformal CoatingsMeasuring dry film thickness of conformal coatings on printed circuit boards. 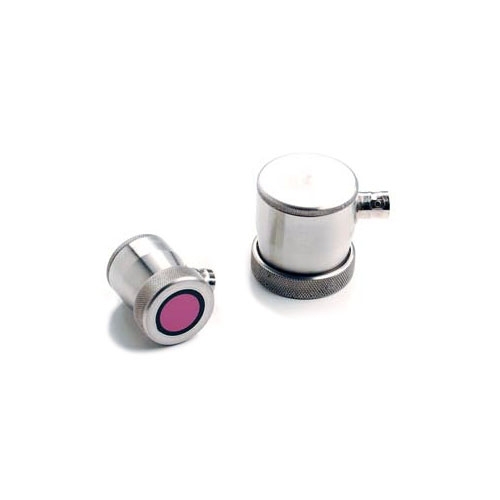 PosiPen Magnetic Pull-Off Thickness GaugeIt is ideal for measuring small parts, hard-to-reach surfaces and high temperature materials up to 230° C (450° F). 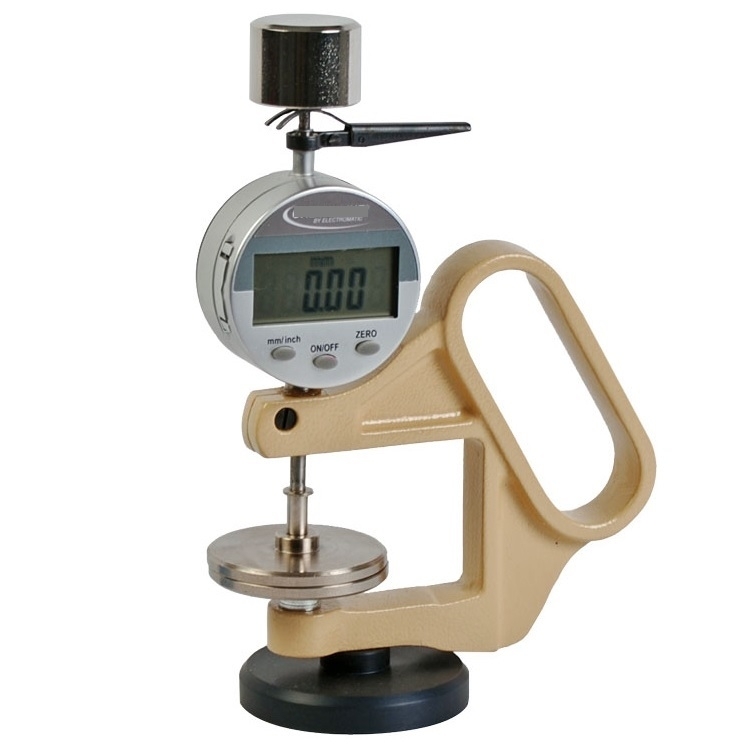 Measurement of Anodizing on AluminumThis is a hand-held, non-destructive coating thickness gage that is ideal for measuring the thickness of anodizing on aluminum. 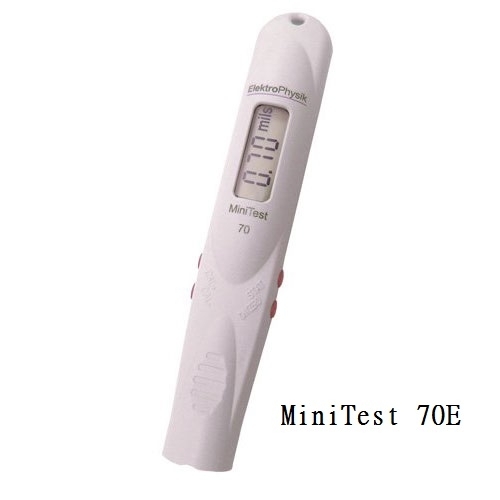 Screen Printing Process MeasurementsThe 6000 FS (Screen Printing) was developed to accurately and non-destructively measure mesh, emulsion and stencil thickness, as well as substrate and dry ink deposit thickness. 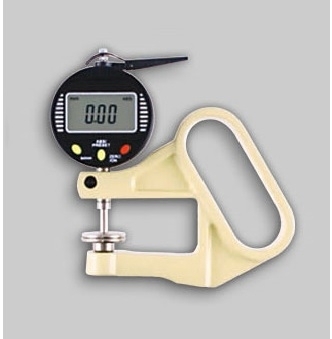 Positest Magnetic Coating Thickness GaugeFor the non-destructive measurement of nonmagnetic coatings such as (paint, enamel, plastic, galvanizing, metalizing, plating, etc.) on STEEL. TMPLTAS Drilling Template for 50 mm DolliesDrilling template and drill bits to isolate test area, ideal for thicker coatings on concrete. 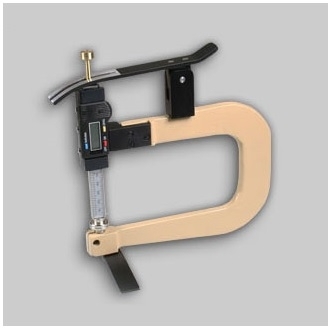 3000EZ Series Coating Thickness GaugeIs designed for testing non-magnetic coatings such as varnish, paint, enamel, chrome, copper, zinc, etc. 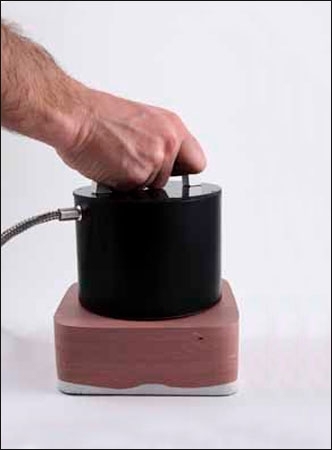 on steel and iron (magnetic induction method) and all electrically insulating coatings. 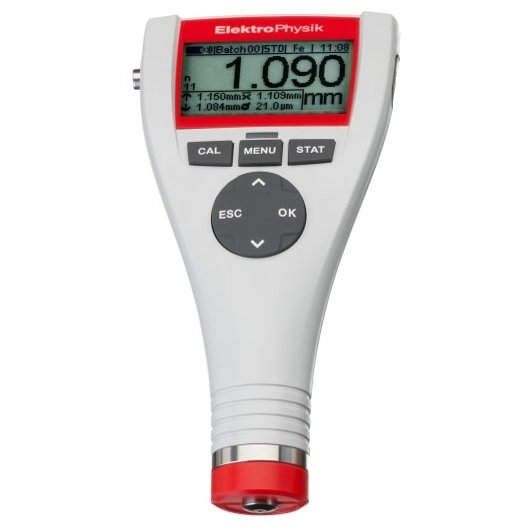 3000EZ-E Series Coating Thickness GaugeCoating Thickness Gauge with External Probe for convenient use on hard to read locations. 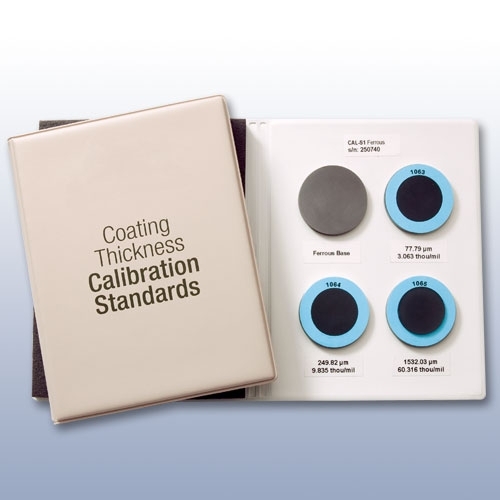 3000FX Series Coating Thickness GaugeDesigned for measurement of paint and non-magnetic coatings on steel and iron as well as paint and anodizing coatings on non-ferrous metals. 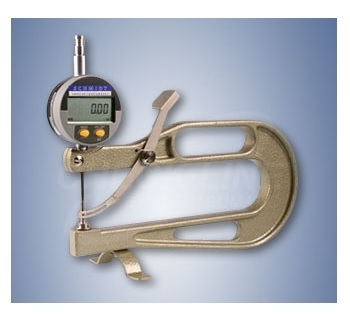 3000PRO Coating Thickness GaugePrecision Coating Thickness Gauge with Interchangeable Probes. 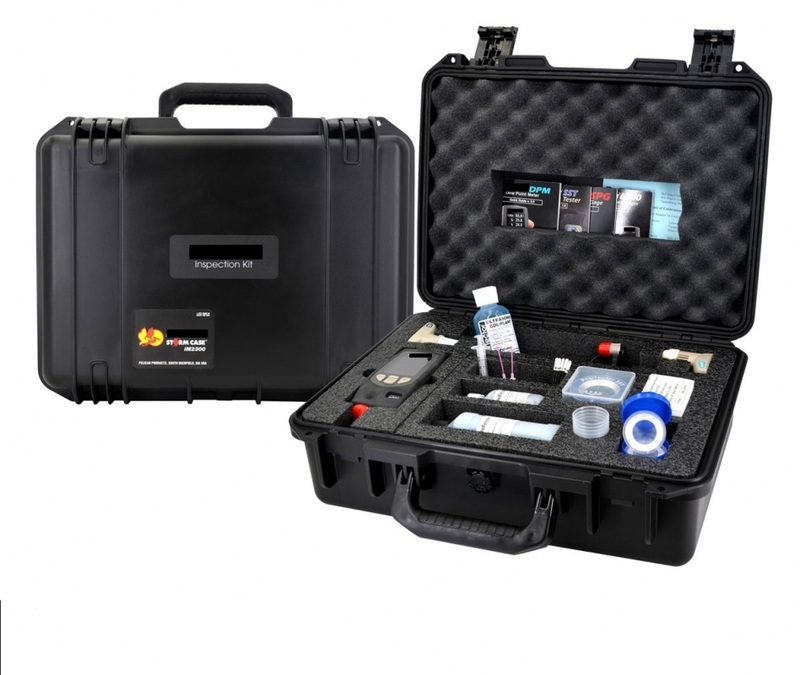 6000-UW Underwater Coating Thickness GaugeIdeal for measuring coating thickness on underwater pipes, ships, bulkheads, offshore oil rigs or anywhere extended reach is required. 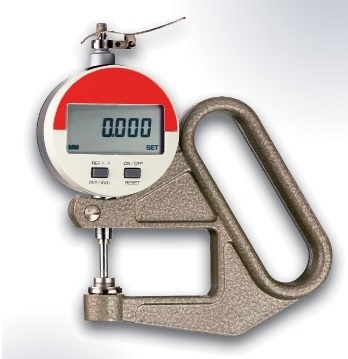 DCF-2000 Coating Thickness GaugeThe DCF-2000 Series Coating Thickness Gauge accurately measures the thickness of paint, plating, galvanize and other coatings on Ferrous metal surfaces. 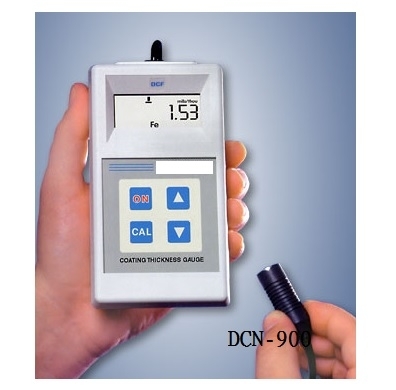 DCF-900 Coating Thickness GaugeThe DCF-900 measures the thickness of paint, plating, coatings and galvanizing on iron or steel. 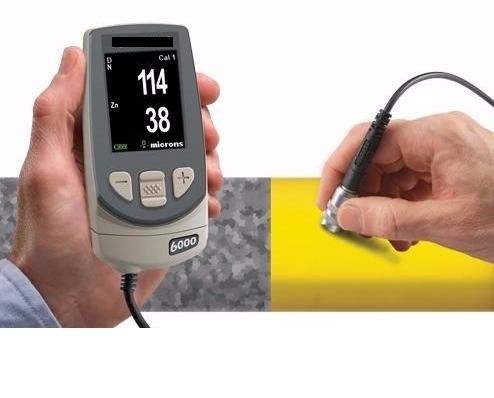 DCN-900 Coating Thickness GaugeDCN-900 measures the thickness of paint coatings, anodize on aluminum, brass, zinc, stainless steel and other non-ferrous metals. 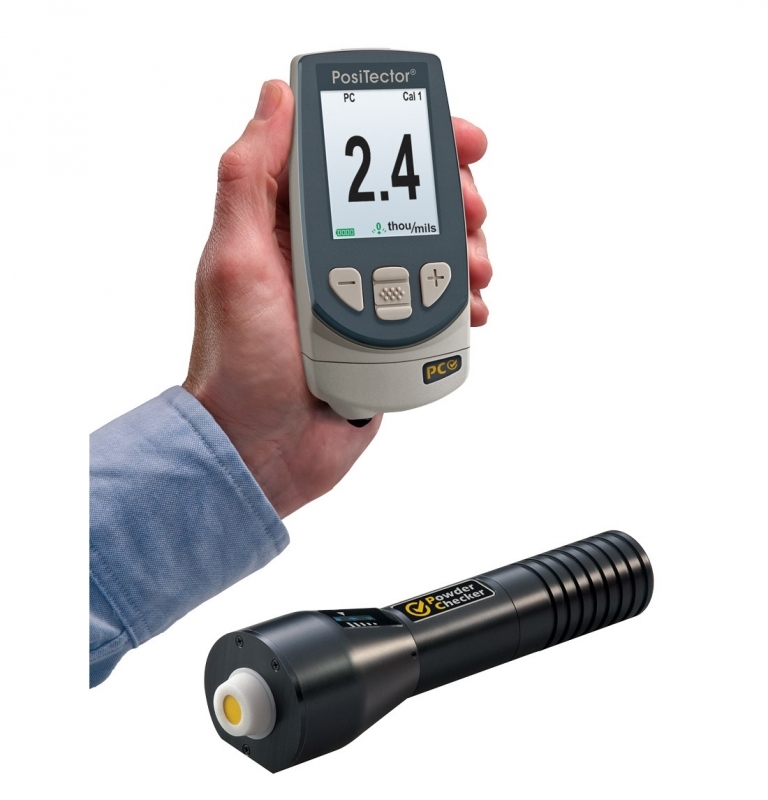 DFT Coating Thickness GaugeEasy to use Coating Thickness Gauge for Automotive and other common applications. 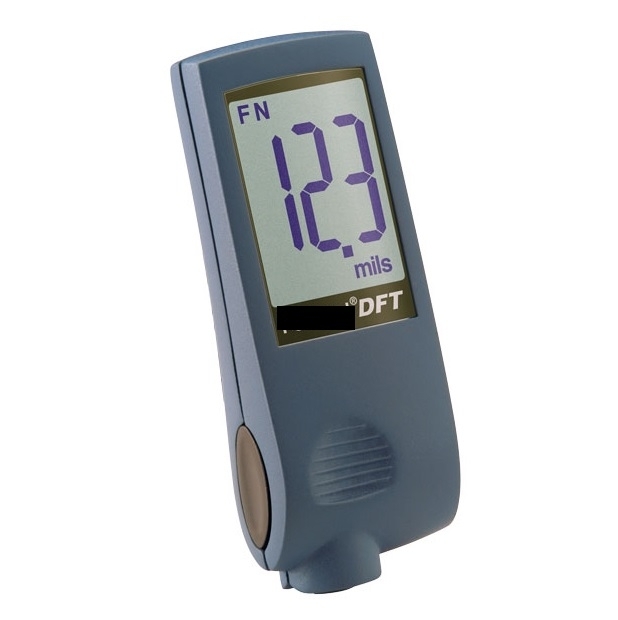 DFT-GEN1 Coating Thickness GaugeEasy to use Coating Thickness Gauge for Automotive and other common applications. 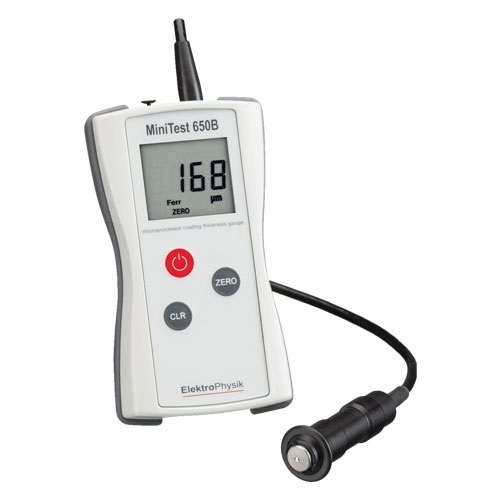 MiniTest 650 Coating Thickness GaugeIt can measurement of all non-magnetic coatings on steel and all insulating coatings on non-ferrous metals. 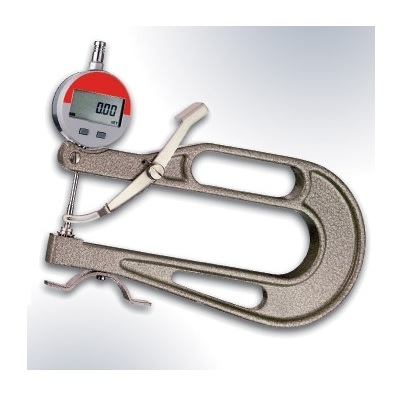 MiniTest 650B Coating Thickness GaugeRugged and easy-to-handle coating thickness gauge. 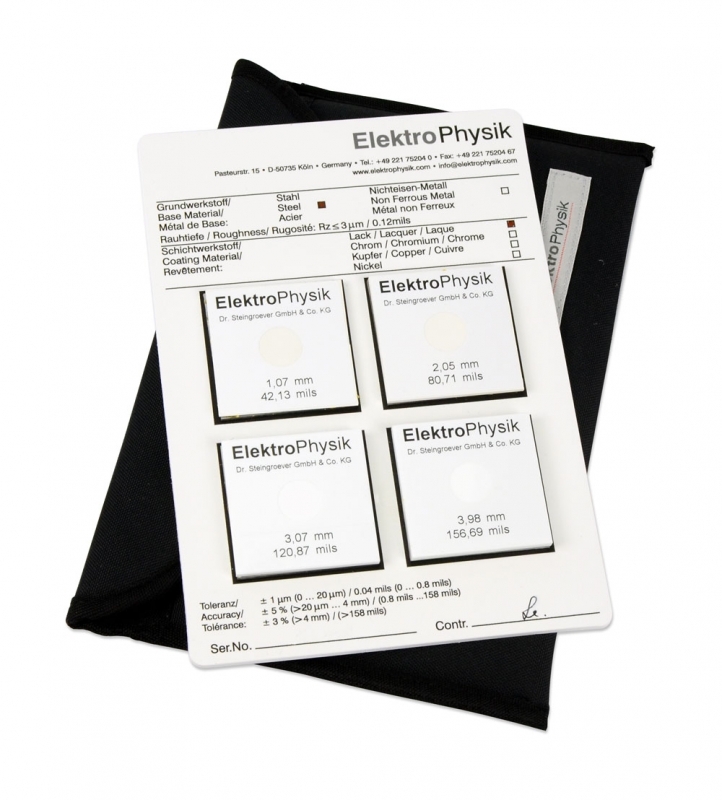 Supplied with Factory Calibration, only requires Zero setting on uncoated metal surface. 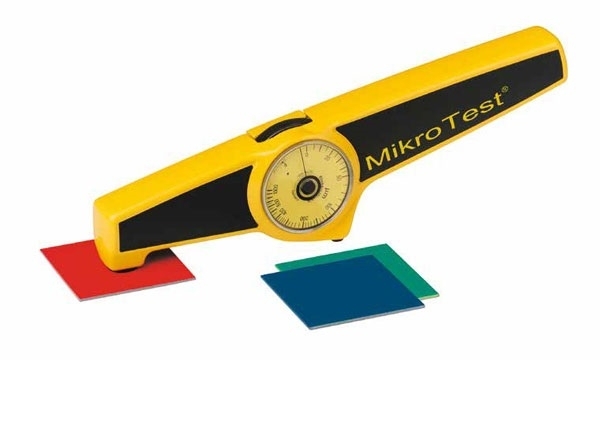 MiniTest 650E Coating Thickness GaugeRugged and easy-to-handle coating thickness gauge. 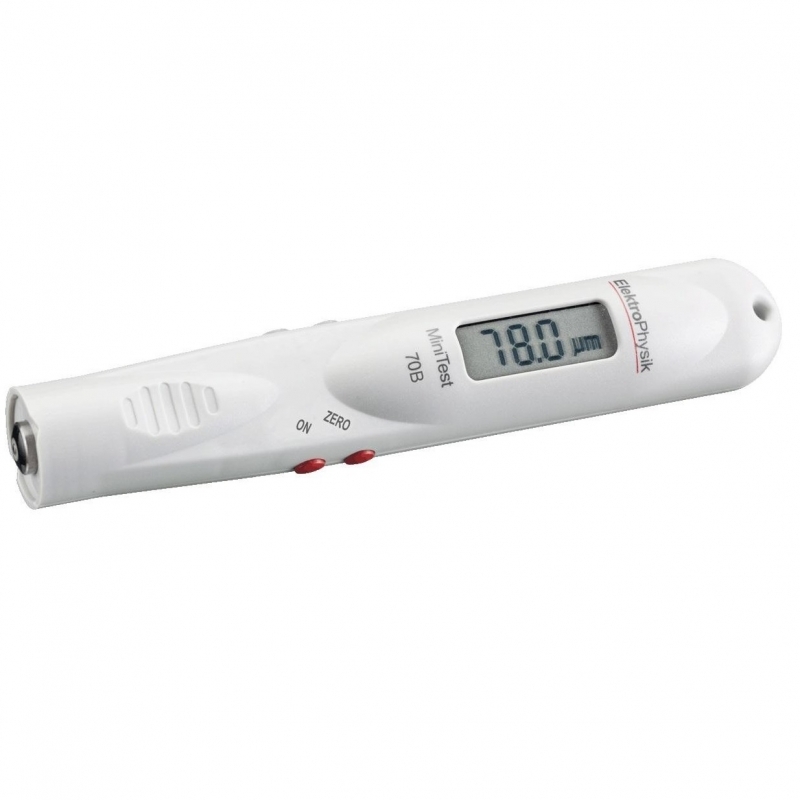 Supplied with pre-set Factory Calibration. 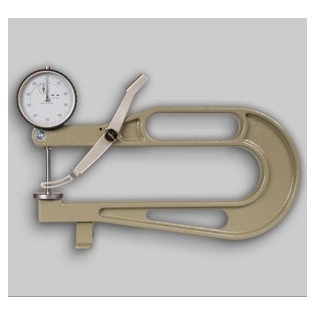 Simply turn on the gauge and take measurements. 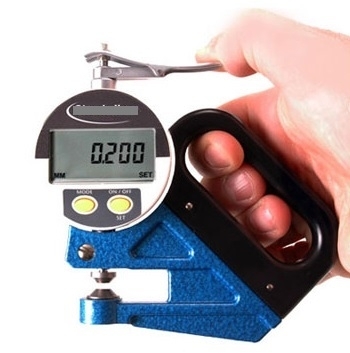 MiniTest 70 Coating Thickness GaugePen-Type Gauge for maximum portability and performance. Offered in FERROUS Only and Combination FERROUS and NON-FERROUS. 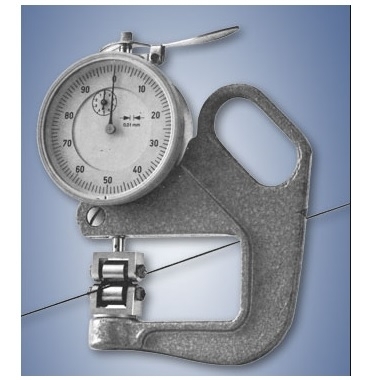 MiniTest 70B Coating Thickness GaugePen-Type Gauge for maximum portability and performance. 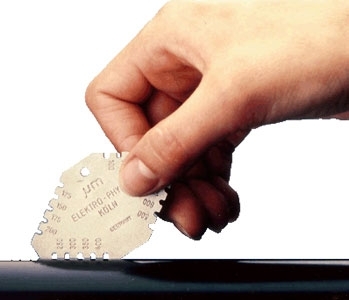 One model only for Fe and nFE substrates. 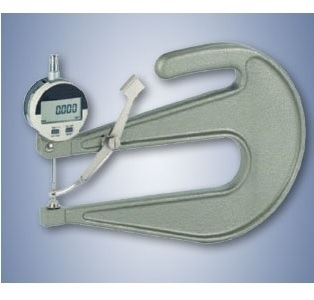 MiniTest 70E Coating Thickness GaugePen-Type Gauge for maximum portability and performance. 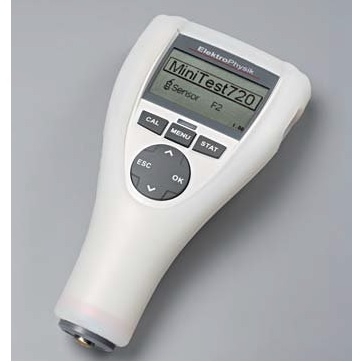 No calibration required, ZERO calibration only. 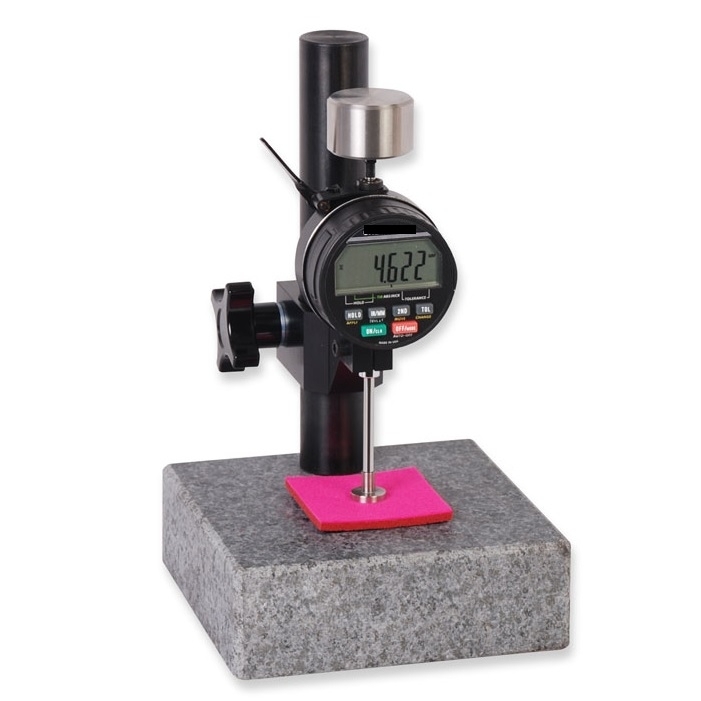 MiniTest 720 Coating Thickness GaugeAdvanced coating thickness gauge with SIDSP® sensor. 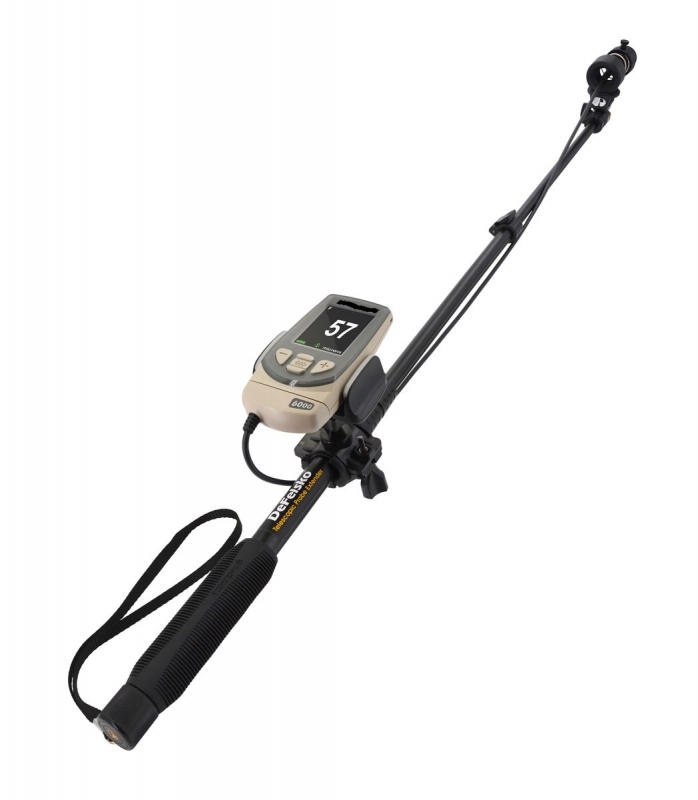 The MiniTest 720 features a built-in, integrated probe built-in to gauge housing for easy, one hand operation. 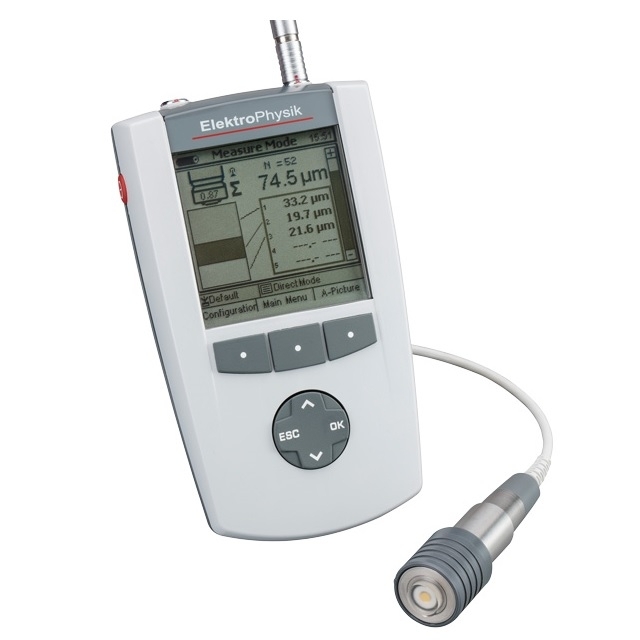 MiniTest 725 Coating Thickness GaugeProbe Integrated as part of housing for 1-Hand Operation .Built-in memory 10,000 data points & statistics. 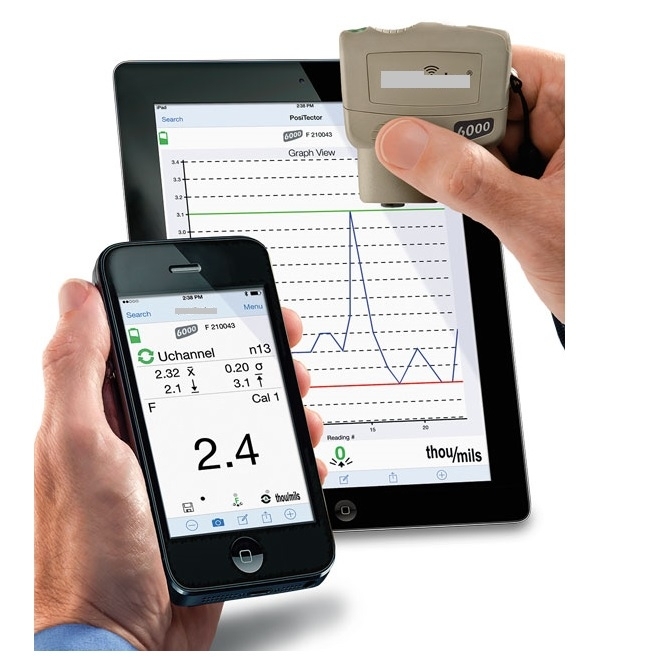 Output via USB or Bluetooth .Audible & Visual Alarms. 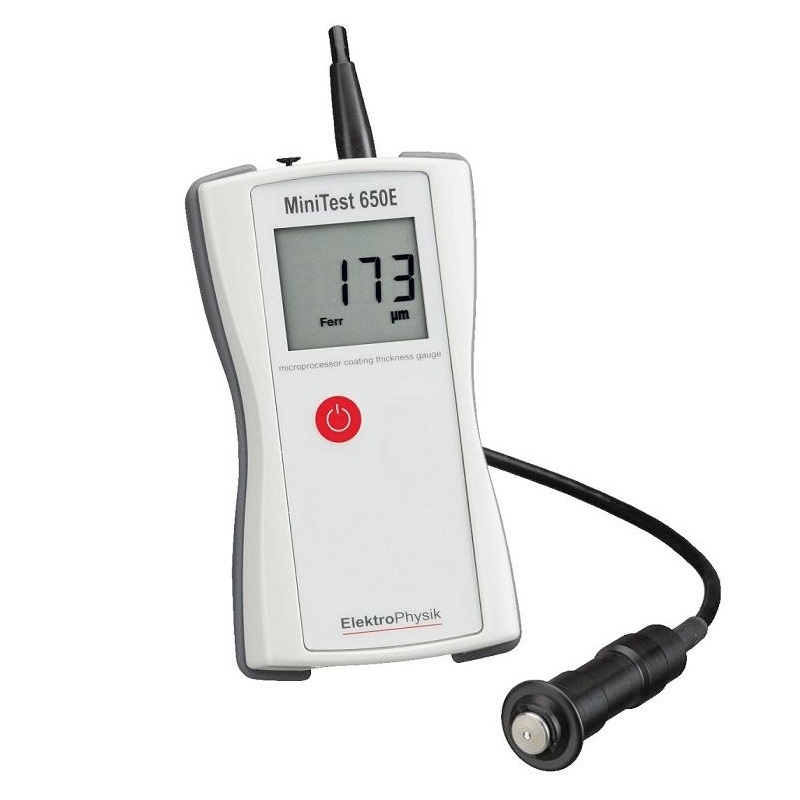 MiniTest 730 Coating Thickness GaugeAdvanced coating thickness gauge with SIDSP® sensor. High accuracy. 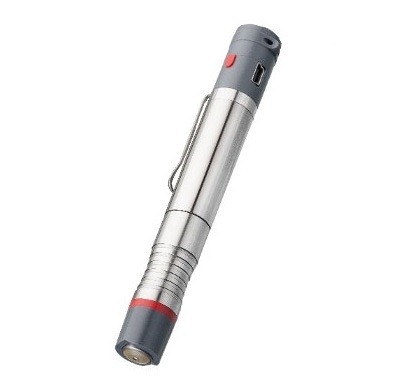 External Probe. 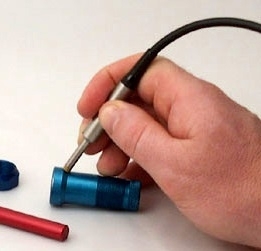 MiniTest 735 Coating Thickness GaugeExternal Sensor connected via cable. 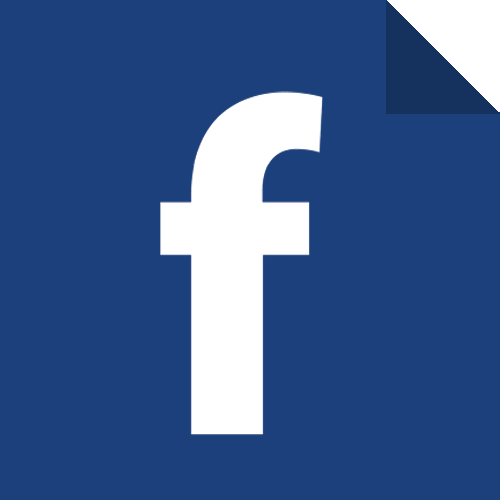 Built-in memory 10,000 data points & statistics. Output via USB or Bluetooth. 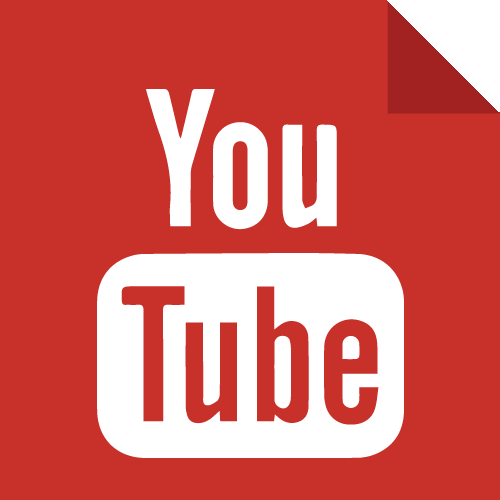 Audible & Visual Alarms. 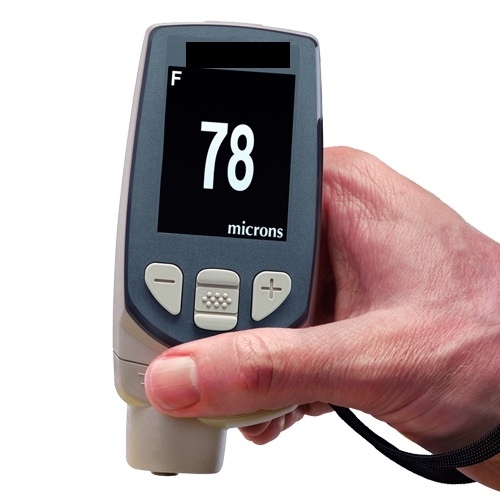 MiniTest 740 Coating Thickness GaugeAdvanced coating thickness gauge with SIDSP® sensor. High accuracy. 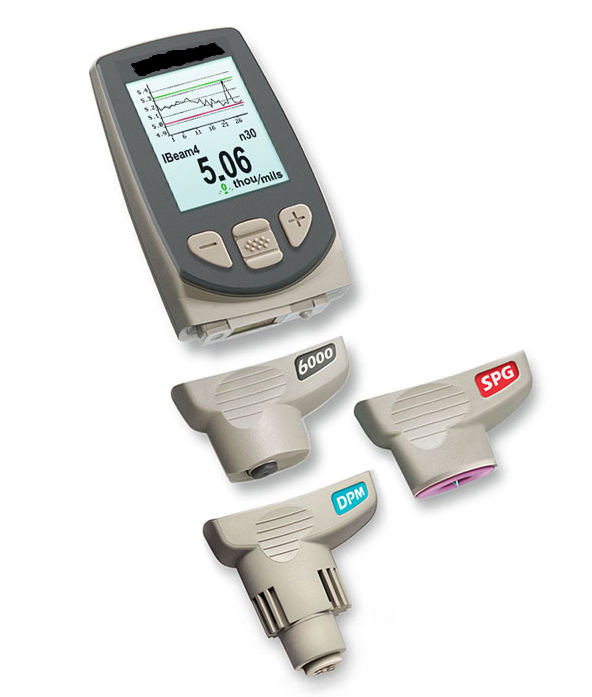 Changeable Integrated & External Probe. 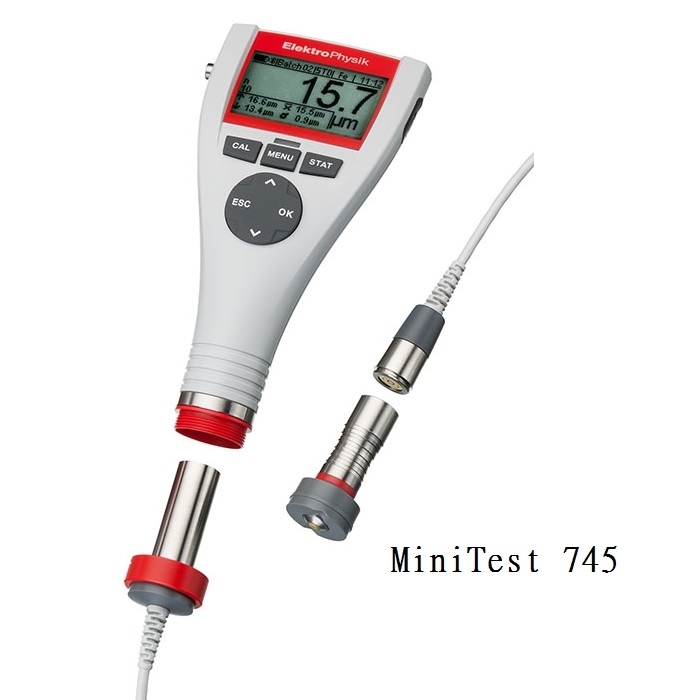 MiniTest 745 Coating Thickness GaugeInterchangeable Probe Model. 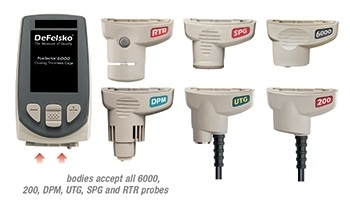 Wide range of probes available. 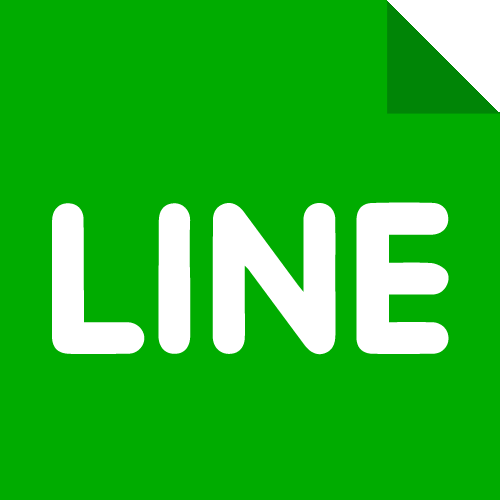 Built-in memory, 10,000 data points & statistics. Output via USB or bluetooth. Audible & Visual Alarms. 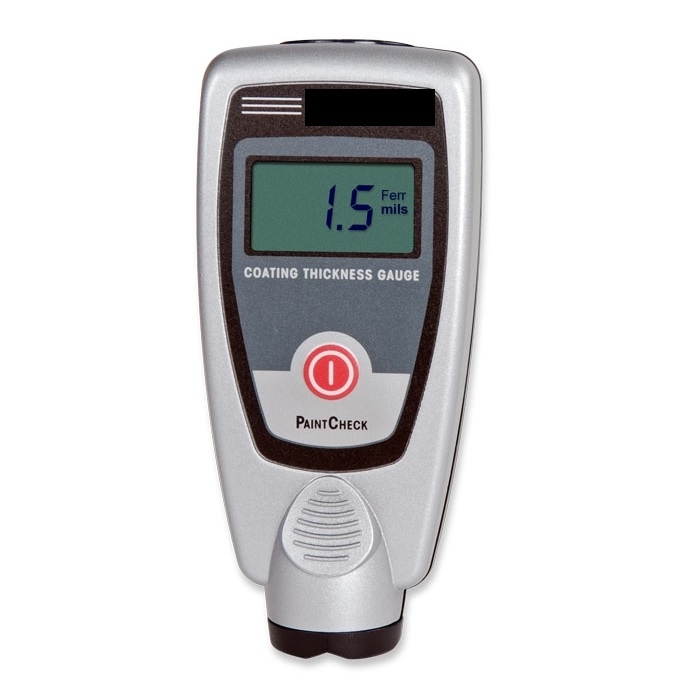 PaintCheck Paint Thickness GaugeEconomical Coating Thickness Gauge for Automotive and other common applications. 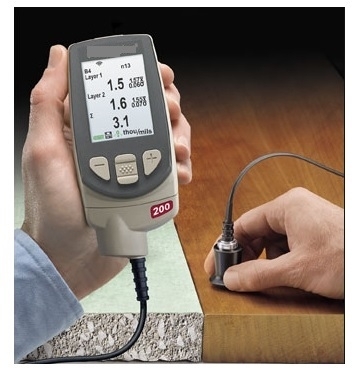 Measuring Range:0-80mils(0-2000µm). 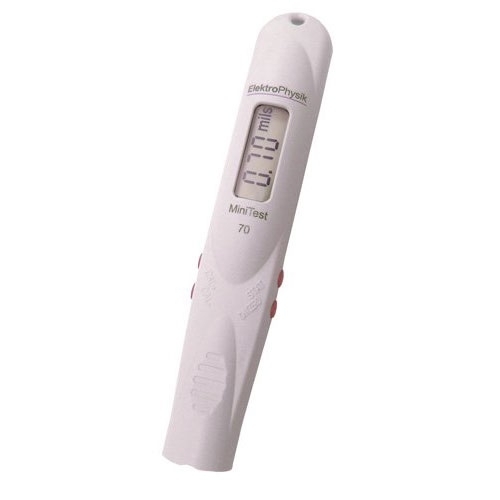 No calibration required. 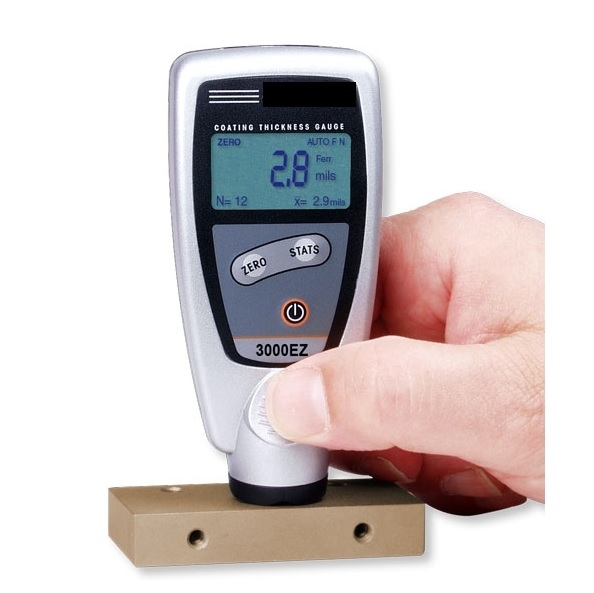 PosiTector-PC Uncured Powder Coating Thickness GaugeMeasures uncured powder coatings using non-contact ultrasonic technology to automatically calculate and display a predicted cured thickness. 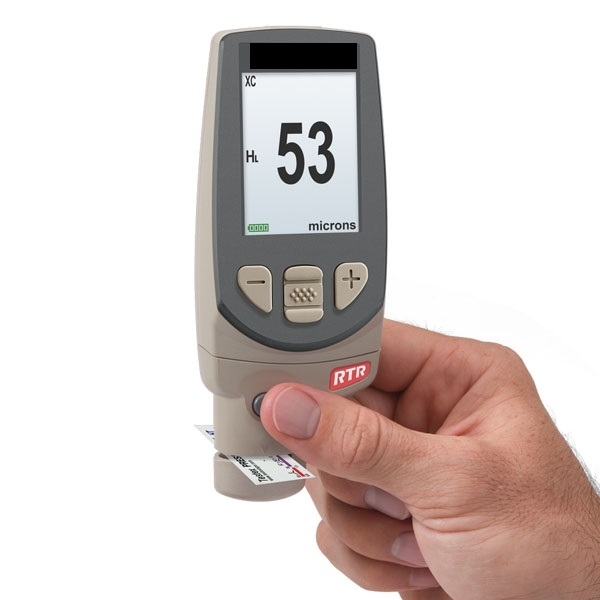 PT-200 Coating Thickness GaugeCoating Thickness Gauge for wood, concrete, plastic and more. 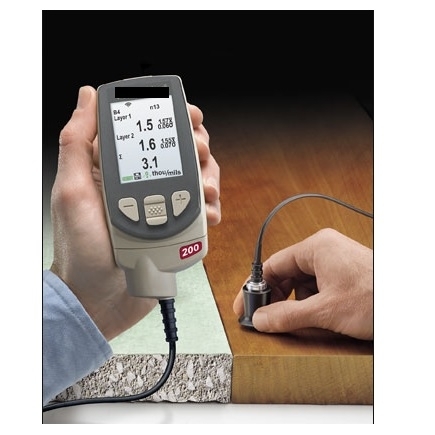 Measuring Range:0.5-150mils (13-3800µm). 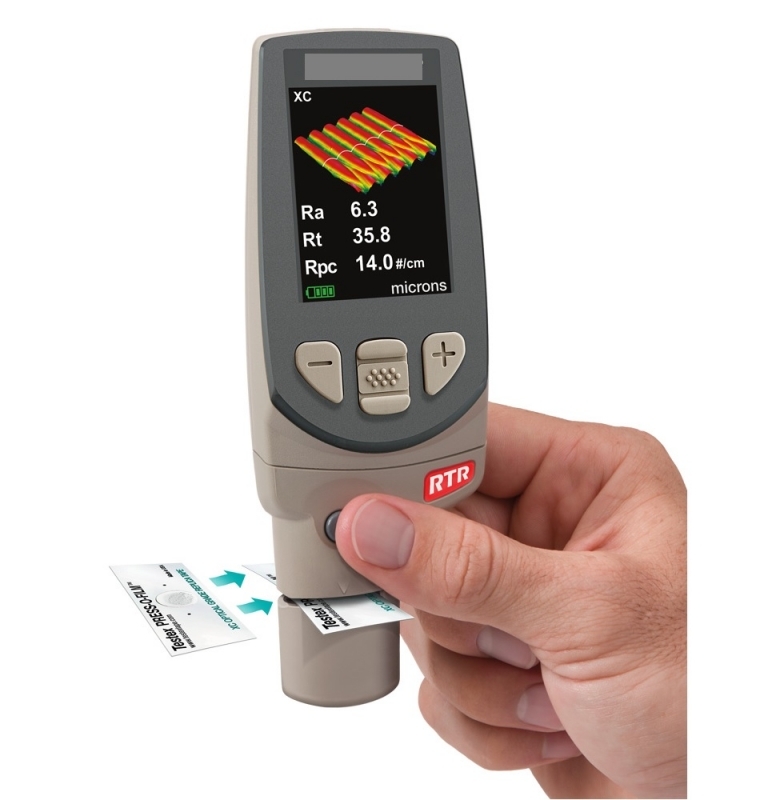 PT-RTR Coating Thickness GaugePositector RTR Replica Tape Reader measures and records peak to valley surface profile height using replica tape. 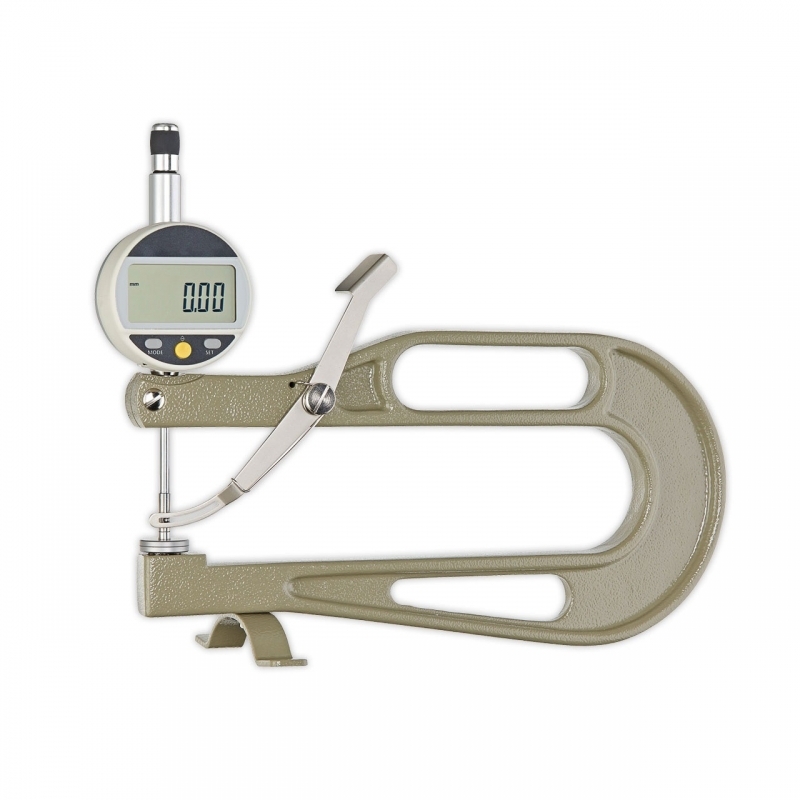 F-1000-30 Foil Thickness GaugeSpecial-purpose thickness gauge for foils and thin materials with a resolution of 0.001 mm. 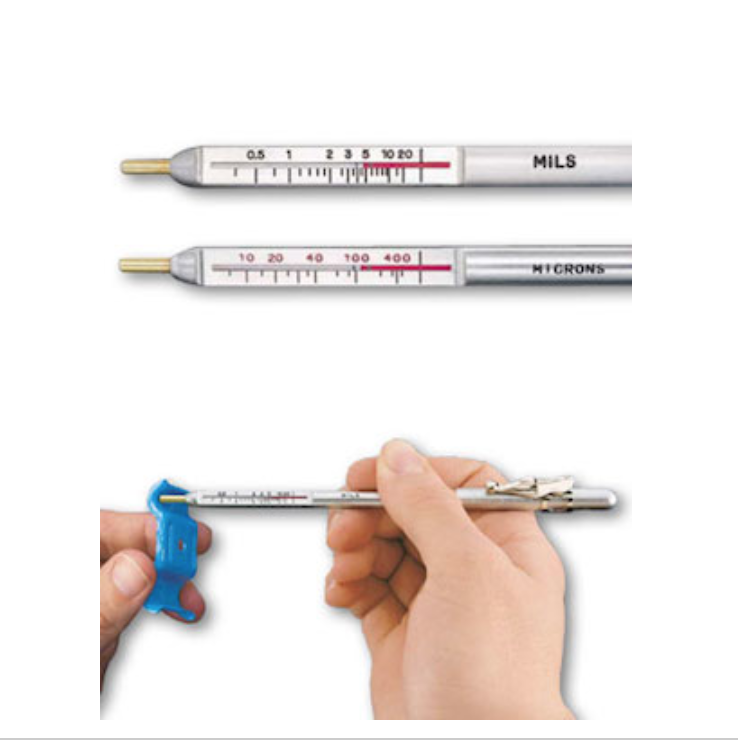 An insulated handle prevents transfer of heat from the hand to the movement. 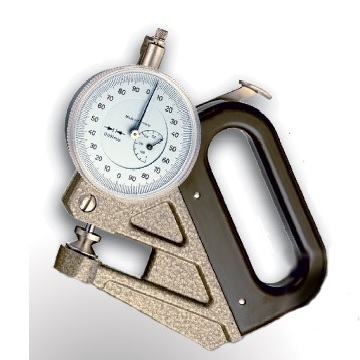 J-200 Analog Dial Thickness GaugeThe J-200 is ideal for determine the thickness of leather, textiles, cardboard, felt, rubber, sheet metal, foil, plywood, plastic, etc. 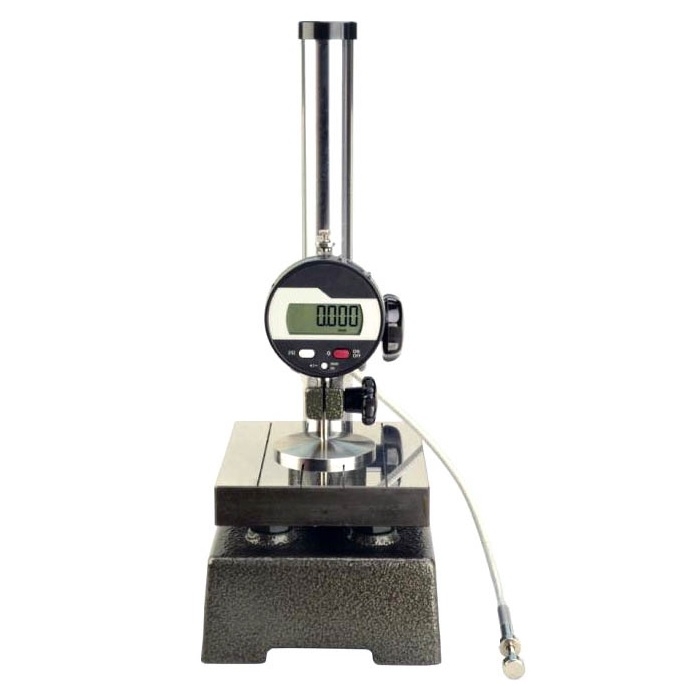 J50R Series Thickness GaugesFor measuring the diameter of moving wire, filaments and thickness of ribbon and narrow fabrics. K-200 Analog Dial Thickness GaugeThe K-200 is ideal for determining the thickness of leather, textiles, cardboard, felt, rubber, sheet metal, foil, plywood, plastic, etc. 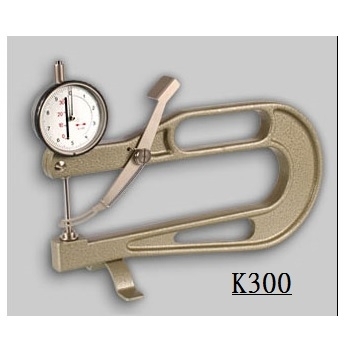 K-300 Analog Dial Thickness GaugeThe K-300 thickness gauge features an easy to read analog display along with the high accuracy.Measurement is done by a spring force. 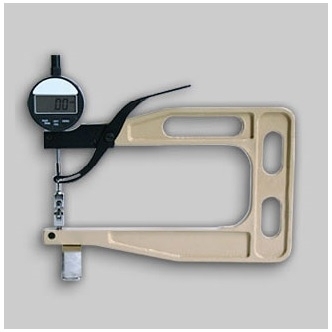 Opening by lifting device (lever) - self closing. 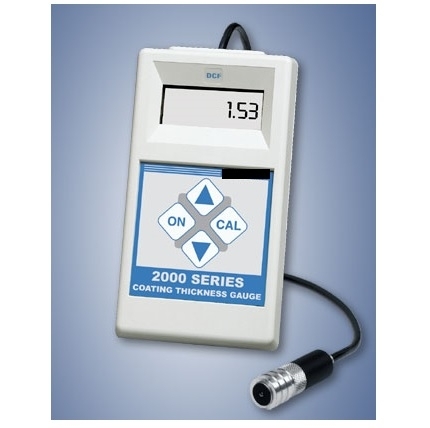 K-400 Analog Dial Thickness GaugeThe K-400 thickness gauge features an easy to read analog display along with the high accuracy. 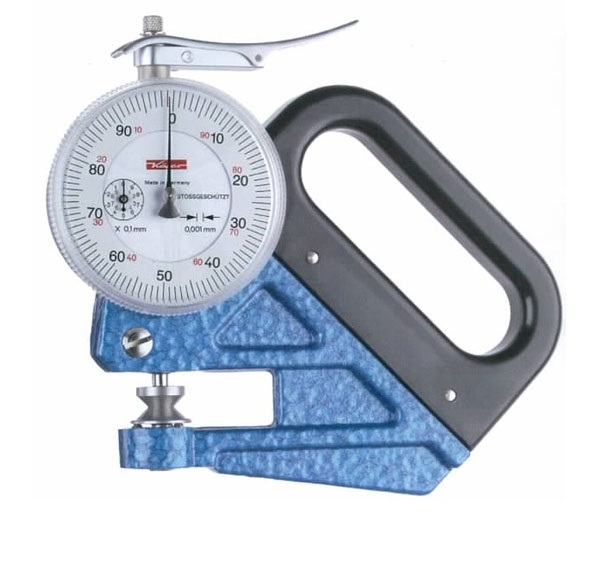 Measurement is done by a spring force. 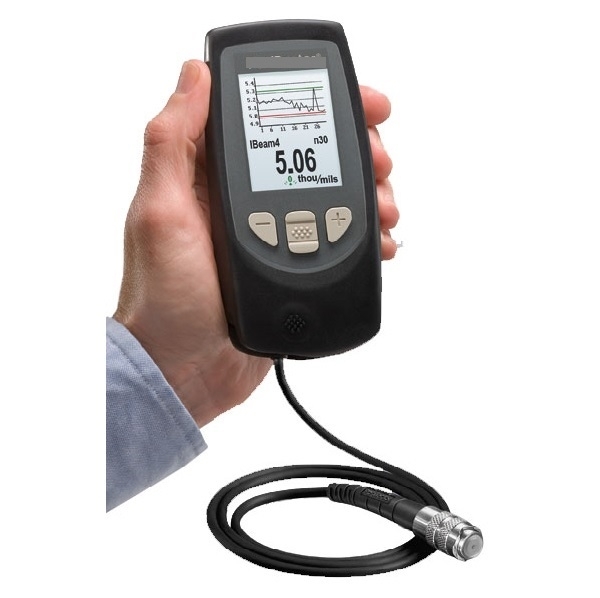 200-JD-25-A Digital Thickness GaugeThe digital thickness gauge serie has the benefit of an easy to read LCD display, combined with the highest accuracy. 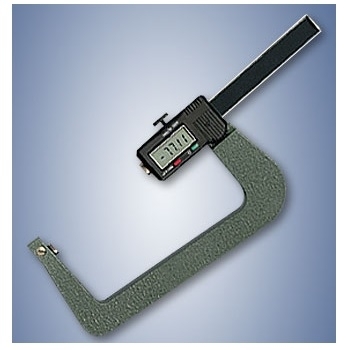 The user can select either to display thickness in mm or in inches. 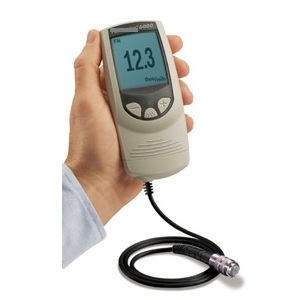 J-40 Thickness GaugeThe J-40 Series thickness gauge can be used to determine the material thickness of non-woven fabrics, textiles, felts, geomaterials, paper, floor coverings, leather, foils, etc. 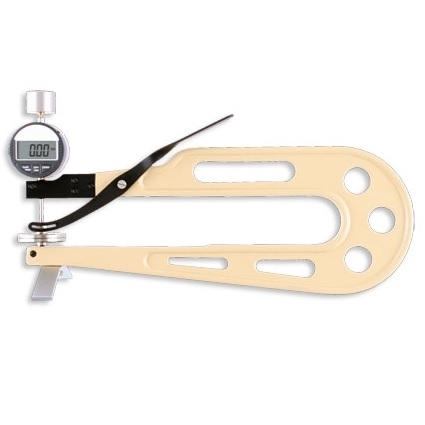 JD-200 Thickness GaugeThickness gauge to determine the thickness of leather, textiles, cardboard, felt, rubber, sheet metal, foil, plywood, plastic, etc. 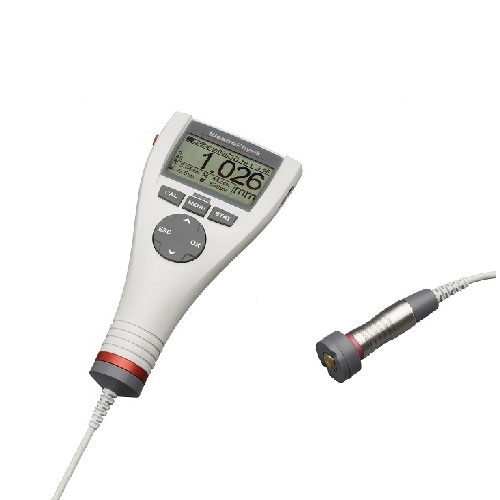 JD-200-25 Digital Thickness GaugeThe digital thickness gauge serie has the benefit of an easy to read LCD display, combined with the highest accuracy. 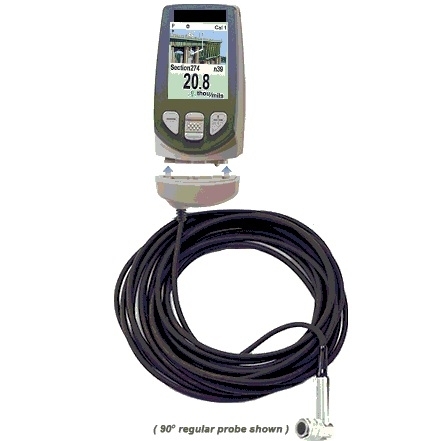 JD-50-W Digital Thickness GaugeThickness gauge for measuring tube walls. 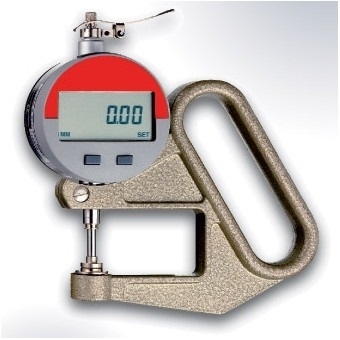 MTG Digital Thickness GaugeConveniently performs thickness measurement on rubber, fabrics, foams, tapes/films and a wide assortment of other soft materials. 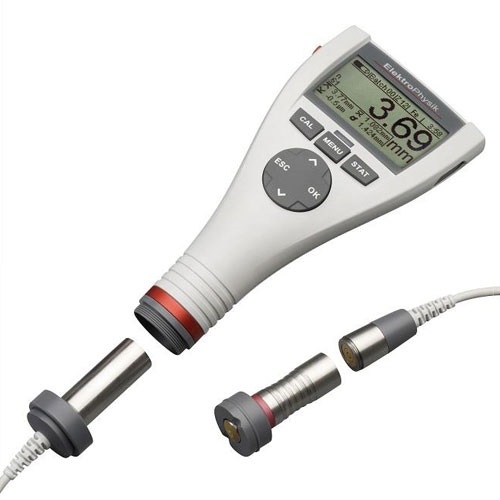 MTT-10 Digital Thickness GaugeIs a digital dial thickness gauge designed for the accurate thickness measurement of non-woven fabrics, textiles, felts, geomaterials, paper, floor coverings, leather, foils, etc. 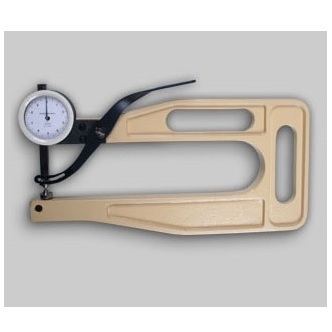 RMU Digital Thickness GaugeThickness gauge to determine the thickness of leather, textiles, cardboard, felt, rubber, sheet metal, foil, plywood, plastic, etc. 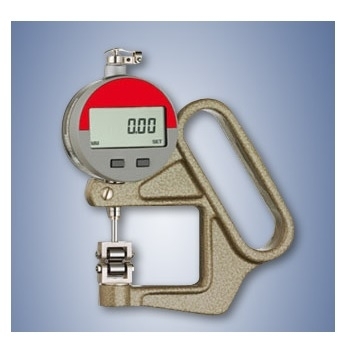 TTG-ISO-5084 Textile Thickness GaugeThe TTG-ISO-5084 textile thickness meter is designed to measure textile thickness according to to ISO 5084 specifications. 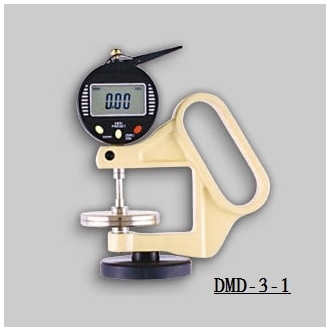 DM-820 Analog Dial Thickness GaugeThickness gauge to determine the thickness of leather, textiles, cardboard, felt, rubber, sheet metal, foil, plywood, plastic, etc. 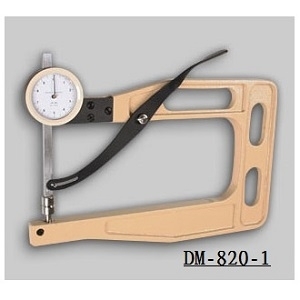 DM-820-1 Analog Dial Thickness GaugeThickness gauge to determine the thickness of leather, textiles, cardboard, felt, rubber, sheet metal, foil, plywood, plastic, etc. 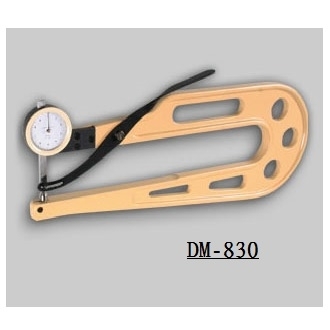 DM-830 Analog Dial Thickness GaugeThickness gauge to determine the thickness of leather, textiles, cardboard, felt, rubber, sheet metal, foil, plywood, plastic, etc. 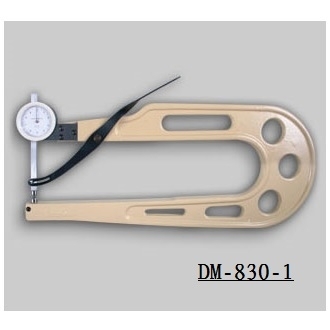 DM-830-1 Analog Dial Thickness GaugeThickness gauge to determine the thickness of leather, textiles, cardboard, felt, rubber, sheet metal, foil, plywood, plastic, etc. 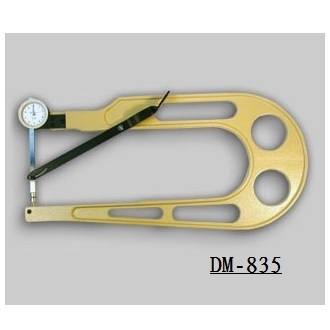 DM-835 Analog Dial Thickness GaugeThickness gauge to determine the thickness of leather, textiles, cardboard, felt, rubber, sheet metal, foil, plywood, plastic, etc. 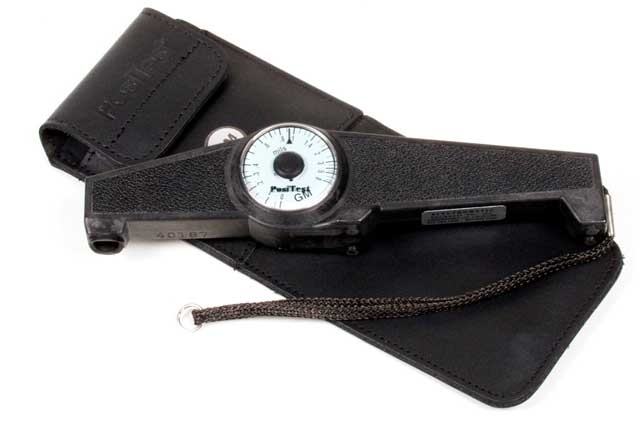 DM-840 Analog Dial Thickness GaugeThickness gauge to determine the thickness of leather, textiles, cardboard, felt, rubber, sheet metal, foil, plywood, plastic, etc. 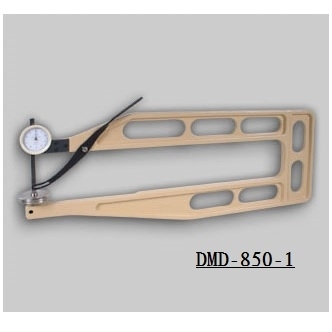 DM-850 Analog Dial Thickness GaugeThickness gauge to determine the thickness of leather, textiles, cardboard, felt, rubber, sheet metal, foil, plywood, plastic, etc. 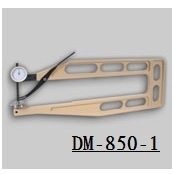 DM-850-1 Analog Dial Thickness GaugeThickness gauge to determine the thickness of leather, textiles, cardboard, felt, rubber, sheet metal, foil, plywood, plastic, etc. 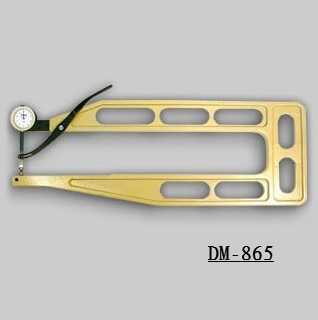 DM-865 Analog Dial Thickness GaugeThickness gauge to determine the thickness of leather, textiles, cardboard, felt, rubber, sheet metal, foil, plywood, plastic, etc. 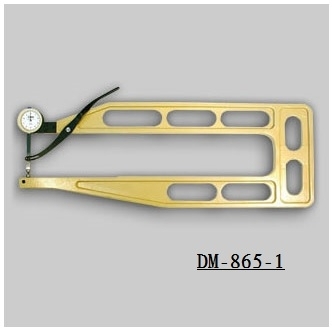 DM-865-1 Analog Dial Thickness GaugeThickness gauge to determine the thickness of leather, textiles, cardboard, felt, rubber, sheet metal, foil, plywood, plastic, etc. 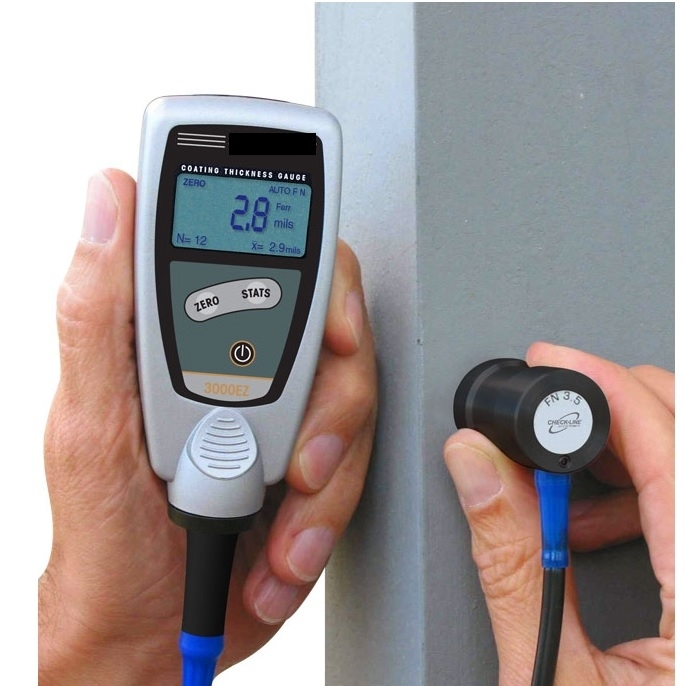 DMD-3 Digital Thickness GaugeThickness gauge to determine the thickness of leather, textiles, cardboard, felt, rubber, sheet metal, foil, plywood, plastic, etc. 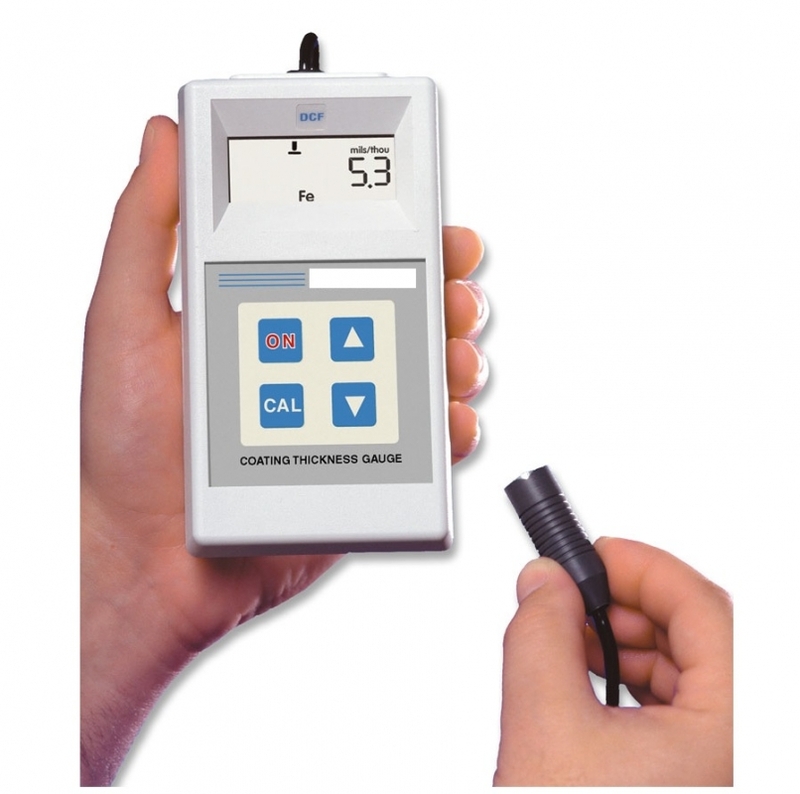 DMD-3-1 Digital Thickness GaugeThickness gauge to determine the thickness of leather, textiles, cardboard, felt, rubber, sheet metal, foil, plywood, plastic, etc. 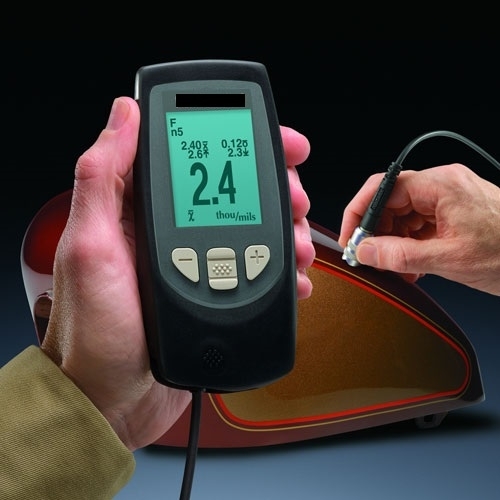 DMD-820 Digital Thickness GaugeThickness gauge to determine the thickness of leather, textiles, cardboard, felt, rubber, sheet metal, foil, plywood, plastic, etc. DMD-820-1 Digital Thickness GaugeThickness gauge to determine the thickness of leather, textiles, cardboard, felt, rubber, sheet metal, foil, plywood, plastic, etc. 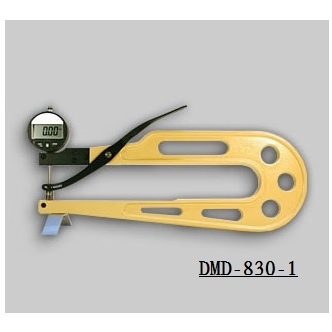 DMD-830 Digital Thickness GaugeThickness gauge to determine the thickness of leather, textiles, cardboard, felt, rubber, sheet metal, foil, plywood, plastic, etc. 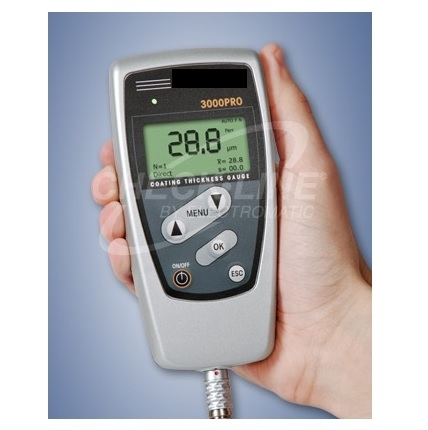 DMD-830-1 Digital Thickness GaugeThickness gauge to determine the thickness of leather, textiles, cardboard, felt, rubber, sheet metal, foil, plywood, plastic, etc. DMD-850 Digital Thickness GaugeThickness gauge to determine the thickness of leather, textiles, cardboard, felt, rubber, sheet metal, foil, plywood, plastic, etc. 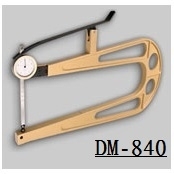 DMD-850-1 Analog Dial Thickness GaugeThickness gauge to determine the thickness of leather, textiles, cardboard, felt, rubber, sheet metal, foil, plywood, plastic, etc. 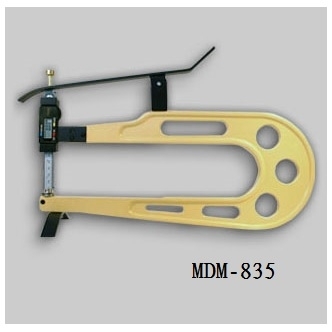 MDM-815-1 Digital Thickness GaugeThickness gauge to determine the thickness of leather, textiles, cardboard, felt, rubber, sheet metal, foil, plywood, plastic, etc. 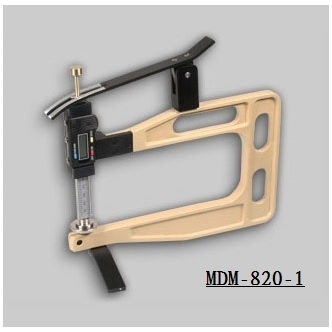 MDM-820-1 Digital Thickness GaugeThickness gauge to determine the thickness of leather, textiles, cardboard, felt, rubber, sheet metal, foil, plywood, plastic, etc. MDM-830-1 Digital Thickness GaugeThickness gauge to determine the thickness of leather, textiles, cardboard, felt, rubber, sheet metal, foil, plywood, plastic, etc. 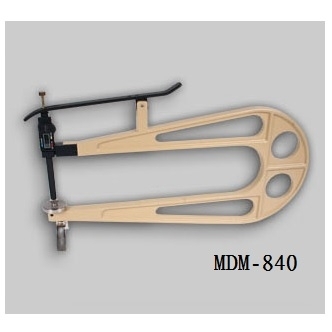 MDM-835 Digital Thickness GaugeThickness gauge to determine the thickness of leather, textiles, cardboard, felt, rubber, sheet metal, foil, plywood, plastic, etc. 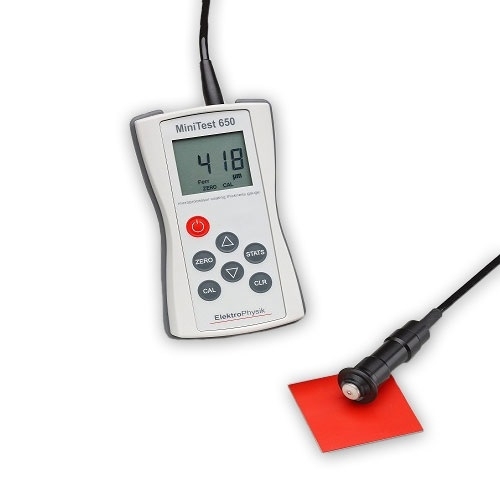 MDM-840 Digital Thickness GaugeThickness gauge to determine the thickness of leather, textiles, cardboard, felt, rubber, sheet metal, foil, plywood, plastic, etc. 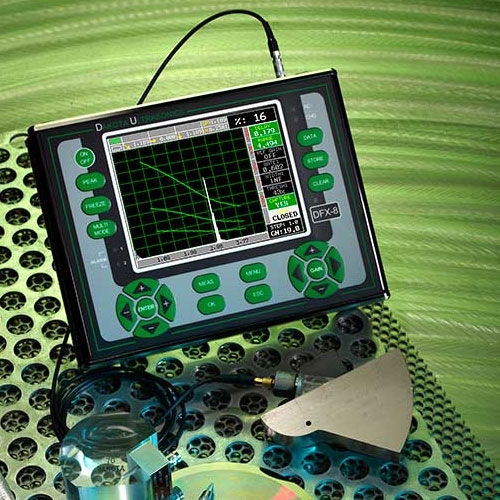 DSC Calibration BlockShear wave distance and sensitivity calibration. 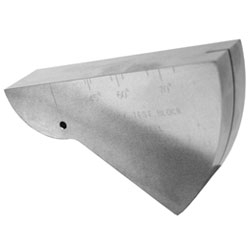 QW Standard Quick Change WedgesAngle beam wedge designed for quick change transducers. SNW Snail WedgesAngle beam wedge meeting American Welding society standards for use with standard shear wave transducers. 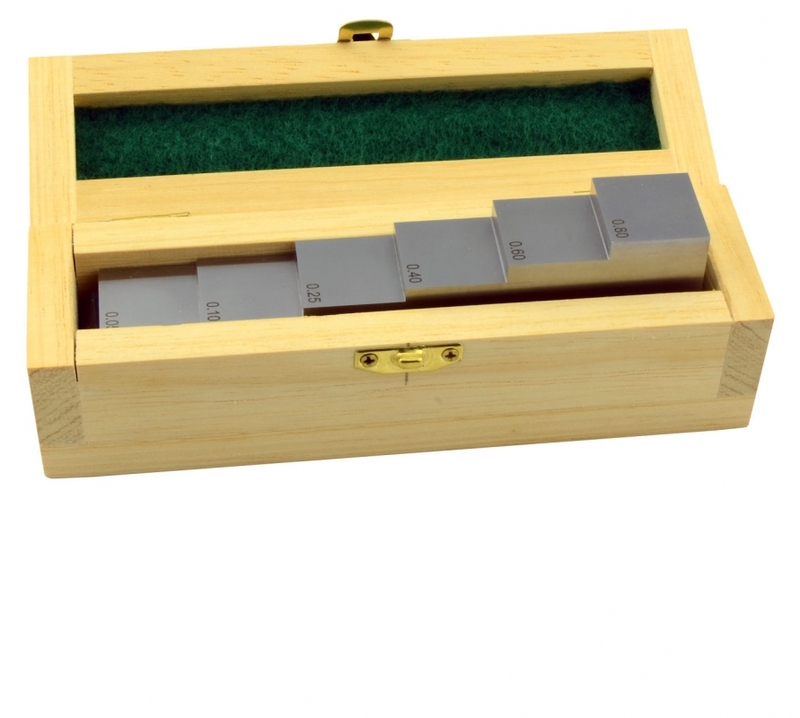 SW Standard WedgesAngle beam wedge for standard shear wave transducers. 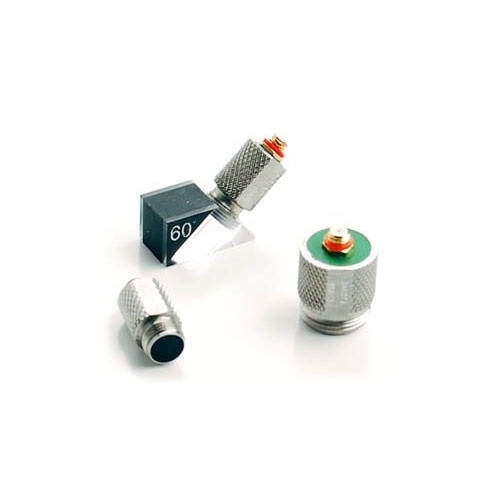 FCSL Contact TransducerLine high frequency general contact transducers with a stainless steel housing. 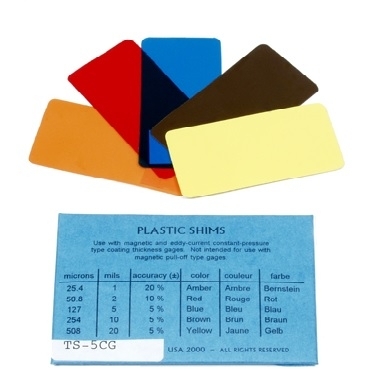 Used for common metals and plastics. 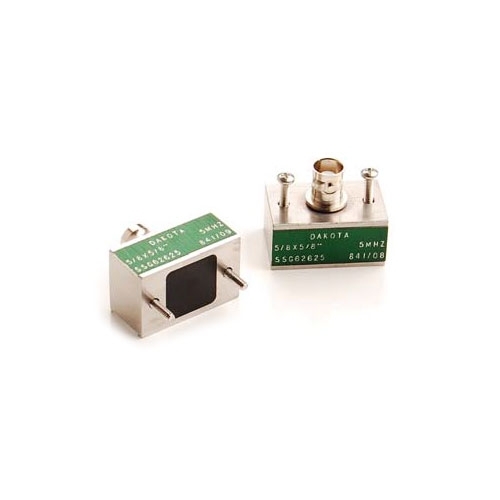 QC-SW Quick Change Shear Wave TransducerThreaded shear wave transducers for quickly interchanging between wedges. Ideal for limited access and curved surfaces. 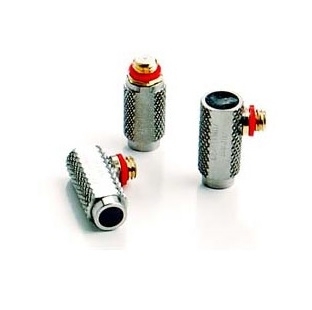 SLF Contact TransducerReplaceable membrane protected contact transducers. 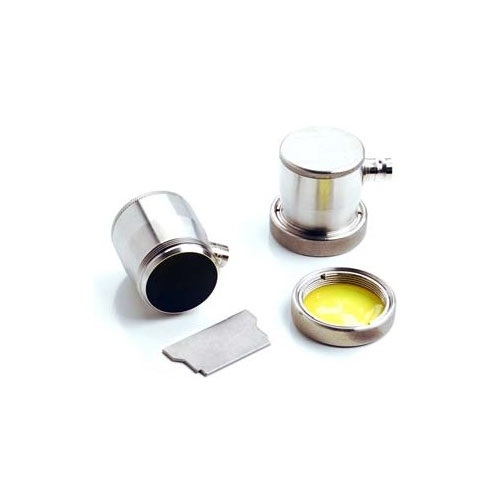 Used for rough surfaces, castings (provides better contact). 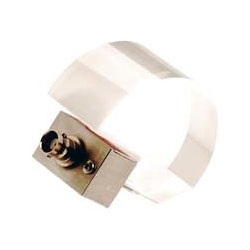 SLM Contact TransducerHigh wear contact transducers with extended stainless steel ring. Used for Rough surfaces, castings, billets and extruded parts. 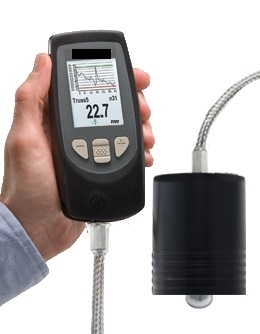 SS-SW Standard Shear Wave TransducerShear wave transducers designed to use a variety of angle beam wedges for general weld inspection & A.W.S, and constructed in a low noise plastic or stainless steel housing. 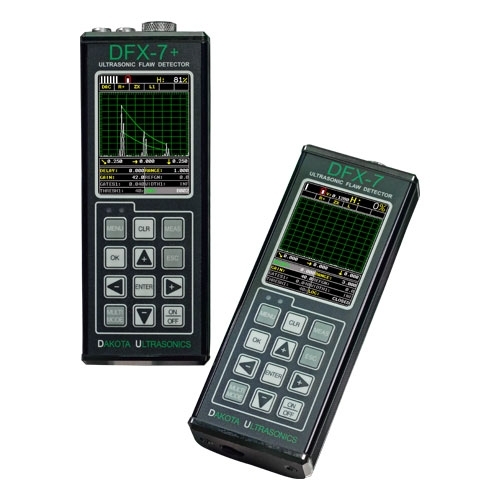 DFX-7 Ultrasonic Thickness GaugeSizing Toolkits: DAC, AWS, TCG, DGS. Detection Modes: Zero Crossing, Flank and Peak. 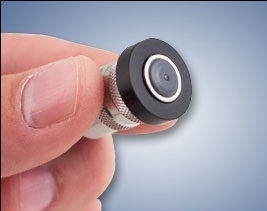 Automatic: probe zero, probe recognition, and Temperature compensation. 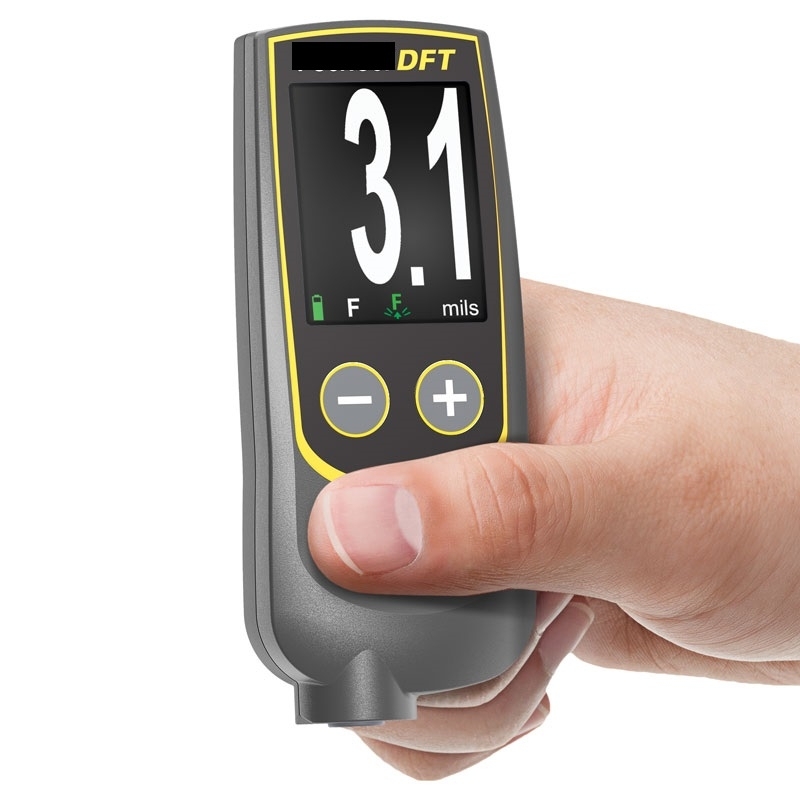 DFX-8 Ultrasonic Thickness GaugeDetection Modes: Zero Crossing, Flank and Peak. Sizing Toolkits: DAC, AWS, TCG, DGS. 64 custom setup configurations.